Ideal for wargaming ? 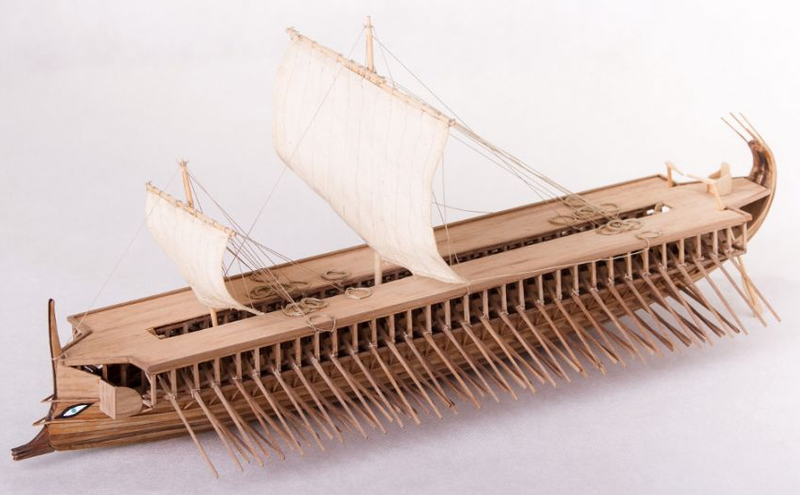 But maybe a bit pricey for that..
Dusek Ship Kits make superb scale models of Olympias and a bireme. At 1/72 perfect for use with plastic toy soldiers. I will stick to paper for now, perhaps when I retire ?